All-Ways Moving & Storage | Full-Service Movers based in Laguna Hills, CA. | We'll Come Wherever You Are. If you need local or long distance movers, there’s only one name to trust: All-Ways Moving and Storage. Our team handles all types of relocations, including for apartments, homes, and offices. No matter where you need to go, our team can get you there. At 949-768-0220, we employ the best residential movers. Our team can handle your needs, no matter how large or small your home. Moving an office is a task that requires detailed planning and a lot of work, so rely on the trusted office movers at All-Ways Moving and Storage. If you’re in the process of moving and not sure what to do with your things, All-Ways Moving and Storage is here to help with short- and long-term storage. Always Move with All-Ways Moving & Storage. Helping Laguna Hills, Orange County, and Beyond. When you are looking for a reliable moving company in Laguna Hills, you can count on All-Ways Moving & Storage. We have been serving the beautiful community of Laguna Hills since 1980. We are dedicated to providing high quality moving and storage services for customers moving both locally and long distance. All our staff is extensively trained in both residential and commercial moves. No move is too difficult for All-Ways Moving & Storage. Let us know how we can make your move as easy as possible. Call our office today for moving assistance. Full Service Laguna Hills Movers For 30 Years. 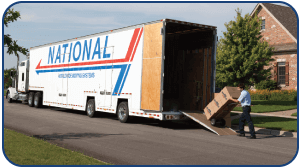 All-Ways Moving & Storage provides local, long distance and international moving services. We also offer our customers with secure and climate-controlled warehousing and storage for both offices and industrial needs. If you would like to move yourself and just need a vehicle, we have a whole fleet of Budget trucks available for rental. Whatever level of assistance you require, we are here to help. In order to meet all moving challenges and exceed all expectations, we provide thorough in-house training to all our staff. 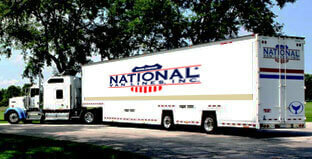 Our certified drivers, packers and movers are the best in the industry. Our rates are competitive and our service cannot be beat. 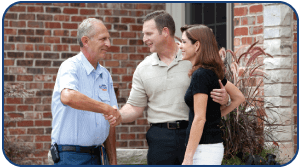 When you give us a call, our expert move coordinators can provide you with a free estimate. We have moved people daily for the last 30 years. Let us use our experience to make your moving worry-free and less stressful. For more information regarding our Laguna Hills movers, contact All-Ways Moving & Storage. Dial (949) 768-0220 or email us at info@allwaysmovingoc.com for your free estimate today. All-Ways arranged our moving to Las Vegas quick and stress free. Thank you! We definitely use the your company again. Reliable services, we have been using All-Ways Moving for many years to move and store our household goods. © 2019 All-Ways Moving and Storage. All rights reserved. Site Design by Dallas Internet Marketing Company Advice Interactive Group.